In the beginning, three goslings hatched: Meeme, Shuely, and Freely. 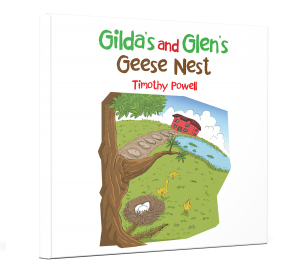 Mother Gilda’s goose and father Glen’s gander started their family. Their nest is resting under a twig of a Maple tree. As winter fades into spring, will their nest be safe from intruders?